Shooting Star Trophies are available in 2 sizes. 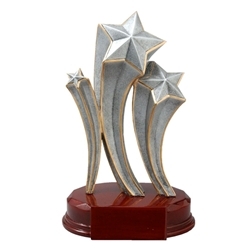 These star trophies are a great yet economical award for the Star Performer in your organization. Item Size 6.25" or 7.25"